Where does all the money football generates actually go? 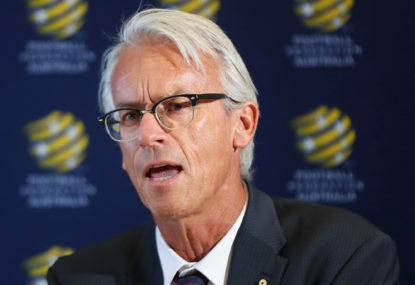 Cutting costs and increasing fees – Football Federation Australia is under siege once again as the high price of running football comes under the microscope. The Australian’s resident football journalist Ray Gatt revealed on Tuesday that FFA spent an average of around $300,000 per player sending the Socceroos to the World Cup in Russia. Despite pocketing at least $10 million for qualifying for the World Cup finals, Gatt also said the FFA was only expecting to break even from the tournament. It prompted a verbose response from the FFA, who stated that football “doesn’t yet generate the massive revenues from broadcast agreements that the other major codes enjoy”. In the same breath they also announced that National Registration fees would be increasing for the first time since 2013. “The NRF increase is $1.40 a year for junior players (to $14 up from $12.60) and $8.00 a year for senior players (to $33 up from $25),” the FFA said in their statement. For all intents and purposes, it looks like a case of the grassroots subsidising the top end of the game. And it comes on the back of parents across Australia struggling to pay the ever-increasing costs of registering their kids to play football. It should be acknowledged that sending a national team to the World Cup finals is always going to be an expensive proposition. There would have been just as much of an outcry had the Socceroos not prepared for the tournament properly. But increasing registration fees barely a week after the Socceroos exit the World Cup is not a great look for the game. 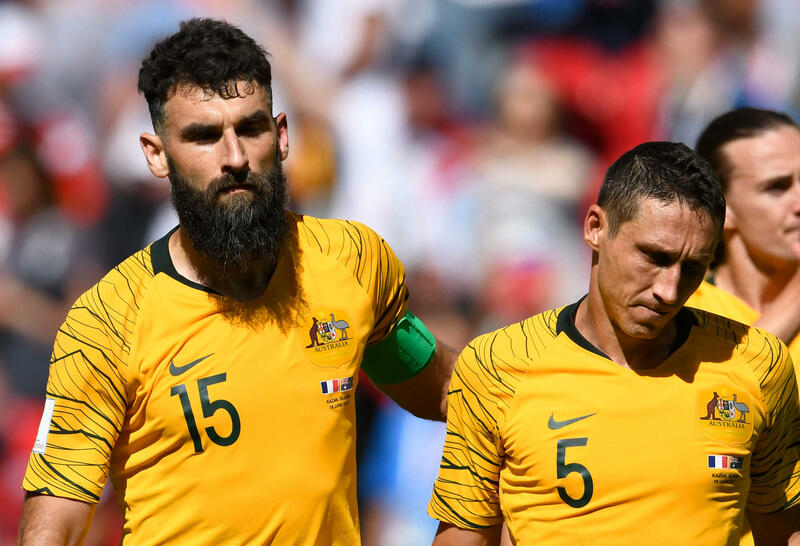 Outspoken former international and current Fox Sports commentator Robbie Slater has suggested the Socceroos were already one of the highest paid teams in the World Cup. It also seems relevant to wonder just how much the FFA spent on sending its own executives over to Russia. It goes without saying that FFA should have indeed had some presence at the World Cup – it’s the perfect way to do some networking, after all – but there’s a perception that, with independent chairwoman Judith Griggs now in charge of the Congress Review Working Group, the World Cup represented one last chance for an all-expenses paid junket before the winds of change sweep through the game. And the issue of who is funding what plays a role in A-League expansion as well. Football might not enjoy the same broadcast revenues as other codes, but as the FFA hinted in their statement on Tuesday, one of the reasons they’re expanding the A-League is to try and encourage more people to watch it. And the $57 million Fox Sports is paying annually to broadcast the competition isn’t exactly chump change. Is it any wonder, then, that expansion bids like Tasmania’s fall by the wayside when it’s understood Fox Sports’ preference is for the next two expansion clubs to come from a major metropolitan market in one of Australia’s three largest cities? How can anyone – and this counts for fans as much as the FFA – expect Fox Sports to effectively subsidise running the A-League without having a say in important topics like expansion? Of course, there’s so much more to running football in Australia than just the A-League. As the FFA themselves pointed out, their $121 million budget for the next financial year is intended to cover the costs of not only the A-League and the Socceroos, but also the Matildas’ campaign at next year’s FIFA Women’s World Cup in France. These things cost money – that’s a given. But having slashed $5 million from their “central costs” last year, as well cutting a further $1.6 million this year, it’s hard not to wonder where all this money is actually being spent. I’m not for a second suggesting I have all the answers. I just think it’s important we ask the question. UPDATE: The FFA has responded to this article, pointing out a breakdown of funding costs can be found in their 2017 annual report.